The way we call tea in different regions of the world is influenced by the different pronunciations of the word ‘tea’ in Chinese as well as the power balance of different regions throughout history. China has many ethnic groups and thus they have their own pronunciations of the word tea. During this period, economic activity shifted from the North to the Southern part of China where tea was at that time pronounced as ‘Tey’. Main export destinations in Europe with the most demand coming from Britain, France, Holland, Germany, Italy, and Spain. These countries therefore use pronunciations close to ‘tey’ or ‘ti’. What’s particularly interesting is that even though Portugal and Spain are neighboring countries with a very closely related language, they pronounce tea differently (Portugal: chá, Spain:té). This proofs the importance of dominance of tea producing regions in China over different periods of time through history. Some European countries such as Poland are an exception. In Polish the word for tea isn’t related to either of the pronunciations mentioned above, but comes from the word ‘herb’: herbata. 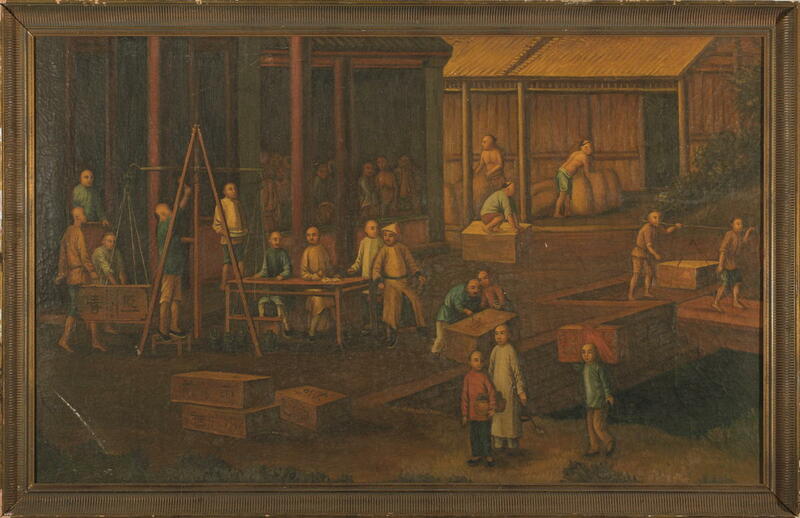 At the same time the Dai, Miao, and Yi minorities in the Southwestern part of China also started exporting tea to neighbouring countries, such as Laos, Burma, Cambodia. As these ethnic minorities pronounce tea as ‘la’ the importing countries are using the same term in their languages.